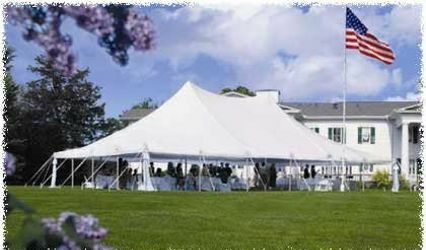 The Vintage Cocktail Camper is a wedding rental service based in Northport, New York, that serves the Long Island region. This rental is a traveling camper bar made out of a classic 1960 Forester. Couples supply the alcohol and the Vintage Cocktail Camper does the rest. This rental comes with general event insurance and trained bartenders with ATAP alcohol certification. Experienced staff members are determined to help you and your guests have a great time. Two professional bartenders are on staff to prepare drinks and bring personalized materials to ensure the night is special just for you. 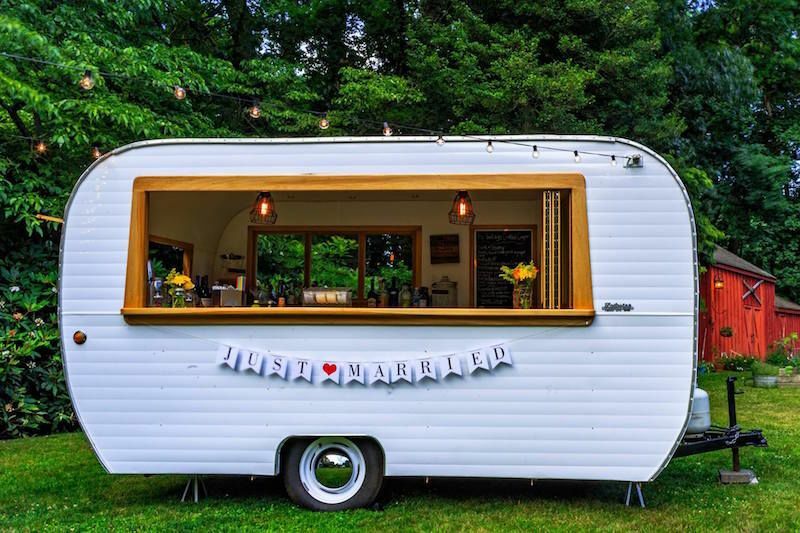 Couples can also create a customized drink menu and receive help from the Vintage Cocktail Camper on how much alcohol is necessary to buy for events. Not only is the Vintage Cocktail camper a unique concept but it is a unique experience. 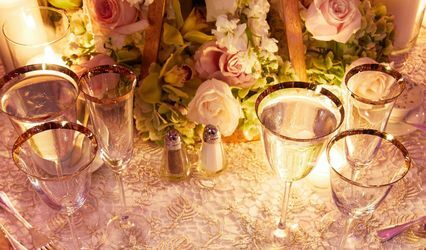 The way they customize the cocktails, glassware, decor & ambiance to suit the theme of your party is truly one of a kind. 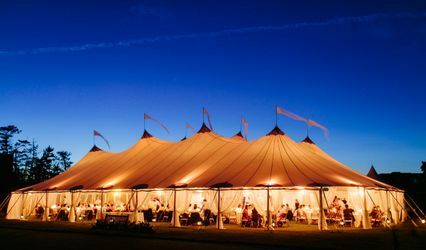 It adds an element to your event unlike any other. My guests are still talking about it & we can’t wait to have an excuse to have them back. Thank you Lisa Hockney for bringing this service to our area! We absolutely loved having this vintage cocktail camper at our backyard party.... it was so unique and all our guests loved it! Would highly recommend for your next event.... you will love!!! I booked the Vintage Cocktail Camper for my wedding this past summer (2017) - I can't recommend Lisa and the camper enough. Lisa is the ultimate professional, super easy to deal with and has impeccable taste and a beautiful attention to detail. The camper is SO COOL and unique and was a hit with our guests. We were going for very unique and personal touches for our wedding after attending so many, and the camper really helped to make the day special. Thank you to Lisa and her crew, we love you guys! !